Build on the exclusive SLP Super Low Profile platform, which is Lew's lowest profile design. The Pro-Ti with an aluminum frame and titanium deposition finish, insures that you will never again have to sacrifice strength for style. 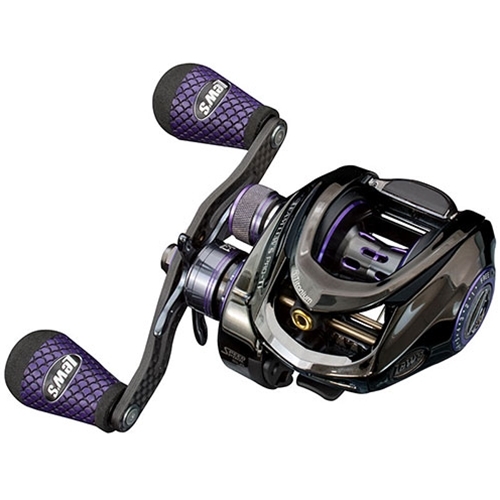 The Pro-Ti has hard aluminum alloy Speed Gears, cut on a precision Hamai CNC gear hobbing machine, externally adjustable 6-pin 27 position QuietCast adjustable Centrifugal Braking system, Premium 11 bearing and a rugged carbon fiber drag system providing up to 20 pounds of drag power.